This book is the second volume of the Cicero trilogy. The first is Imperium and the third has not been published yet. The title of Lustrum used for the UK market refers to the five years in Cicero’s life from the moment Cicero became Consul (63-58BC). In the US it has been published as Conspirata. The choice of titles for either side of the Atlantic invites speculation.Lustrum presents a different Cicero from the one we saw in the first volume. In Imperium we could witness the orator’s climb through the political ladder, thanks to his forceful speeches (on the Verrus Trial, his first attack on Catilina, and on his election to Consul). It was the story of a rising star.In Lustrum the rising of Cicero is at an end and we also discover a couple of his failings. For although the book begins with his great battle and achievement during his Consulship year (63BC), or his dismantling of the Catilina conspiracy (had it succeeded, the subsequent history of the western world would have developed differently), posterity continues to question the execution of the conspirators without trial. Harris does a good job in presenting the case as rather complex, and not a simple and pure result of ruthless tyranny, and somewhat saves the hero-like portrayal of Cicero. Nonetheless, the facts are there. 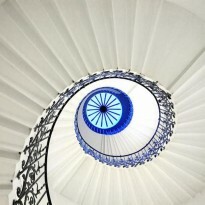 Sadly and irritably, we also see him prone to the same weaknesses that we detect in our modern democracies politicians. Cicero did let the illusion of grandeur feed his greed. In his coveting too large and luxurious a mansion he compromised on principles instead of acting his writings, and so fell easily into the hands of his enemies.And finally, Lustrum is the story of Cicero gradually retreating in face of the overwhelming power that the three political beasts of Julius Caesar, Pompey and Crassus were massing and bringing to the fore. Cicero after all was no military man and the pillars of Rome were physical and technical strength, not conceptual. This final drama of Cicero’s retreat is left hanging on our minds as the second volume, annoyingly, ends. 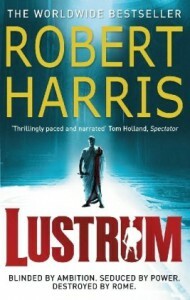 It certainly is a credit to Robert Harris’s narrative abilities that he succeeds in creating a compelling suspense out of the life of a well known figure.This volume is so fully occupied with the very complex political intrigue, in which the many characters keep shifting positions in a “Conspirata” political ball, that the “roman-ness”, which in Imperium seemed like an applied varnish, is better welded into the setting. This dense plot also obscures the very quality that made Cicero such an influential figure in subsequent ages, his oratory. And that is a shame.The third volume (I googled around trying to find out when it will come out, unsuccessfully), will probably continue with Cicero’s final confrontation with Marc Antony, and with the path towards Autocracy that the Republic was treading in its final years.